Jay McCarroll paid the PMQG a visit back in June to announce a quilt block challenge featuring his newest line of quilting fabric, Habitat. And the winners are in! Check out the winning entries here. 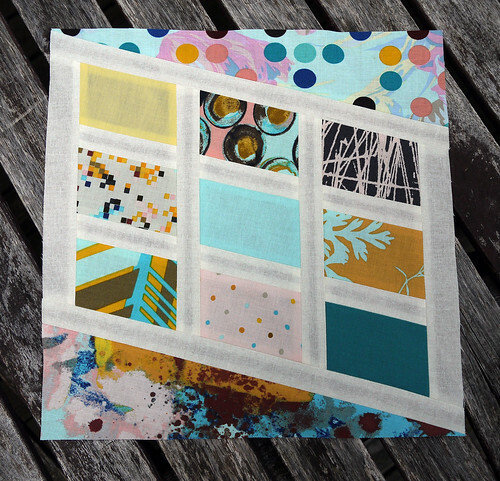 While my block may not have won, I had a lot of fun designing it and hope to one day make a whole quilt out of it. These fabrics were great to work with, and I had no trouble getting inspired. Here’s a peek at my ‘design process’… The idea came from the feathers on a badminton birdie, no lie! I’ll be traveling heavily for work in the upcoming days, so I made some time for my sewing machine this afternoon and started a new quilt. 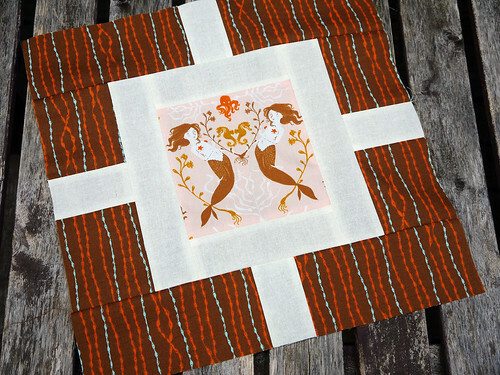 The block is called ‘Garden Fence‘ from Hyacinth Quilt Designs. I increased the dimensions a bit in order to better accommodate the repeat of the mermaid pattern. It was difficult to make those first few cuts into the Mendocino I’ve been hoarding, but I think this is the perfect pattern for it! In a major first, I came up with a decent name for this one before it’s even done! I’m calling it ‘Garden Under the Sea’. Using an Amazon credit I had kicking around, I treated myself to a copy of Modern Log Cabin Quilting. There are a number of great quilts in this book, but for my first project, I couldn’t even make it past the cover. 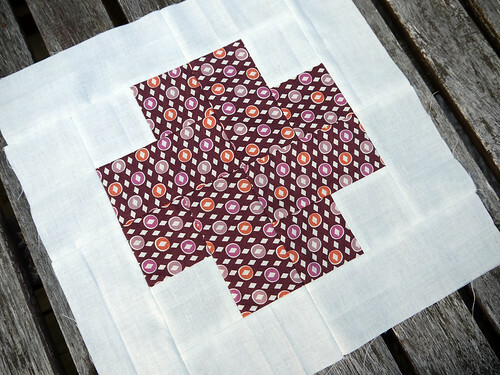 I just started my own version of the ‘Modern Crosses Quilt’ and I’m already in love. 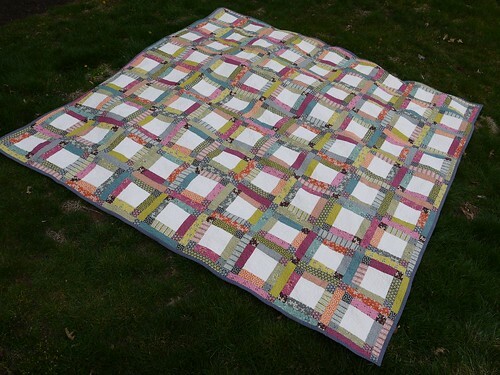 I’m using jelly roll scraps from the king-sized Hope Valley Five Patch quilt that I finished earlier this year. Am I a little obsessed with this fabric line? Possibly. 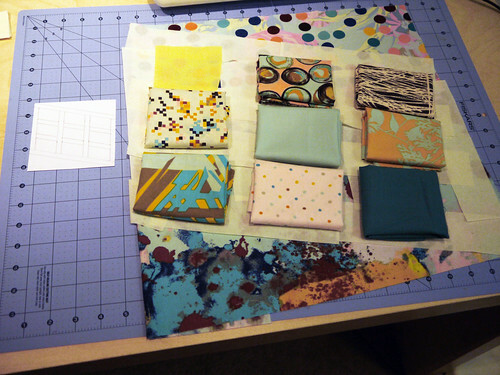 I’m almost embarrassed to admit that I have a third in progress quilt with the same fabric waiting in the wings! No such thing as too much of a good line.